Description: !!!! OLDIES FM 98.5 STEREO,FUE CREADA,PARA QUE VOS PUEDAS VOLVER A VIVIR,TODOS AQUELLOS RECUERDOS MUSICALES,QUE QUEDARON EN EL PASADO...TE INVITAMOS A DESCUBRIRNOS,ACOMPANADOS DE MUY BUENA MUSICA LAS 24 HORAS..ESPERAMOS ESTA TAREA SEA DEL AGRADO DE TODOS GRACIAS! 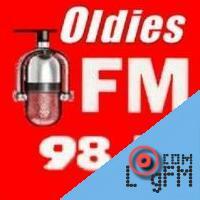 "Oldies FM 98.5 STEREO link... http://184.152.27.82:8996/live.m3u"
Advertising: . At LogFm.com you can listen to any of the 45,000 radio stations online. We have made it easy for you to find your favorite radio, listen to the music you like, find the best new songs, listen to the latest news, etc. Simply type the station name in the search box and enjoy your choice. Listen to the radio online at LogFm.com. Our E-mail: info@logfm.com. Live Oldies FM 98.5STEREO Best of 80s. Rock and pop music, to listen to the latest news online.All rights reserved. 2009-2019 © LogFm.com.